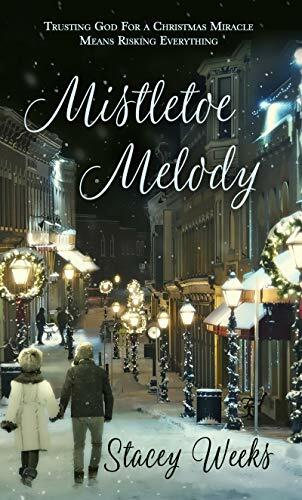 Mistletoe Melody by Stacey Weeks is such a delightful, tender hearted Christian Christmas tale that warms the reader from the start. We are quickly enveloped in the Christmas traditions and atmosphere that will ignite the festive spirit in us all. The novel requires tissues as it focuses on multiple sclerosis and childhood strokes. Both are difficult topics but sensitively and lovingly portrayed. “God never promised her fair, He promised Himself.” What a powerful statement. God is faithful in the good and the bad times. There are “two broken women singing tentative praises to the God who gives and takes away.” We are to praise God in the valley and the storms as well as on the mountaintop.